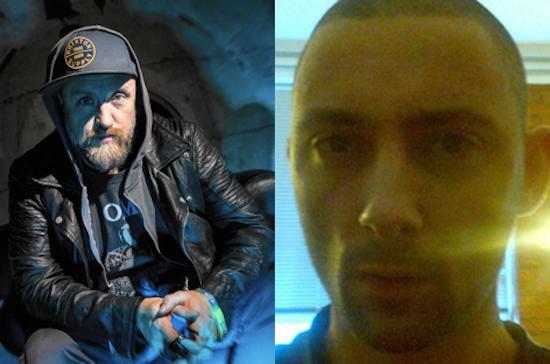 A collaborative EP, entitled Flame 1, from Burial and The Bug has been announced for release later this month. It appeared for pre-order on select online record stores today. The record marks the first collaboration between the two producers though both have separately released material via Hyperdub in the past. Comprised of two tracks, entitled 'Fog' and 'Shrine', the 12" will be released via a new label called Pressure. Flame 1 is the first new material from both Kevin Martin and Burial to be released in 2018 and follows on from a Ninja Tune-released 12" and collaborative album with Earth from the former released in 2017, as well as a pair of EPs for Hyperdub and Nonplus, and a remix of Goldie's 'Inner City Life', by Burial, also released in 2017. Flame 1 will be released later in March.